Hello Everyone! This will be our first time to make confectionery in YAMASAN Cooking. There are not just Miso, Soysauce or Japanese Soup Stock selling in YAMASAN but also “Organic Uji Matcha”. 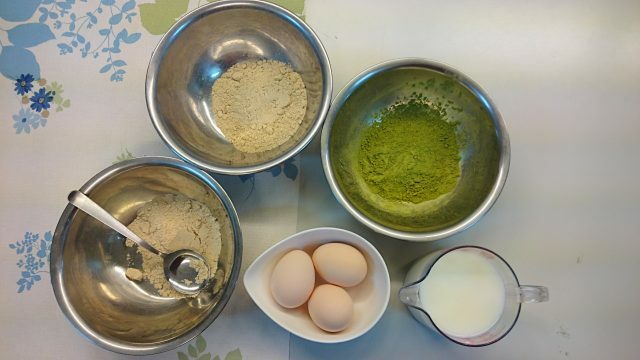 And this time we used “Matcha for Bakery Use” to make Matcha confectionery. 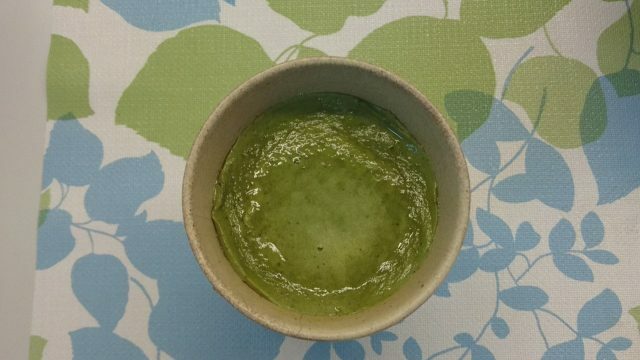 So we will use this Matcha Powder to make “Matcha Pudding” this time! Let’s move on to the recipe below. ① Put 1 tablespoon black sugar and water into the cup, then use microwave oven to heat about 2 mins. ※ Remember to put water into the cup also. Otherwise, black sugar will be burned easily. Color like the photo below is okay! Then start to make the pudding. ②Break 3 eggs and mix it well. ③Mix the eggs with black sugar, and mix that with milk for 3 times. ④Then, use strainer to put matcha powder into the eggs mixture. ※If do not use the strainer, it cannot become smooth. 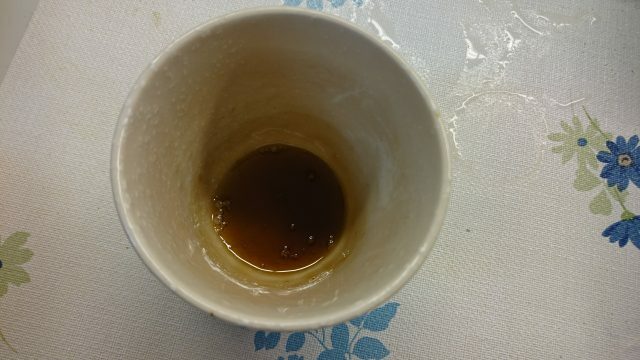 ⑤ Put the mixture into the cup and heat with 700w in microwave oven. 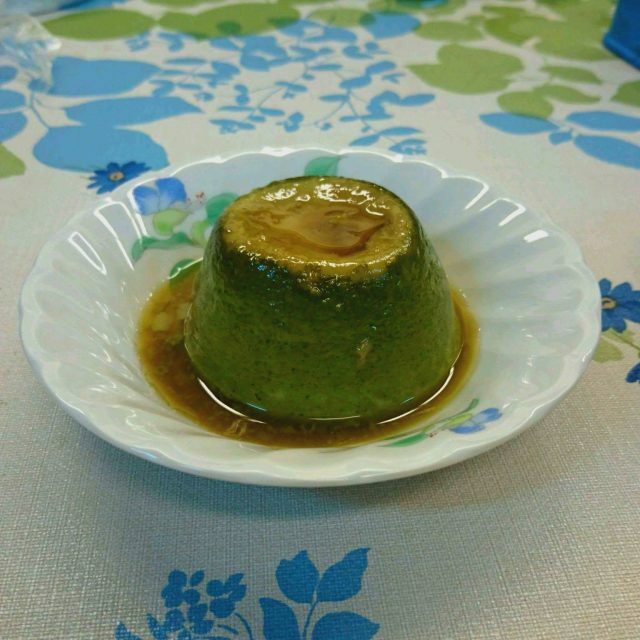 ※ Look at the change of pudding carefully while heating. ※If pudding become like above, then it is fine! 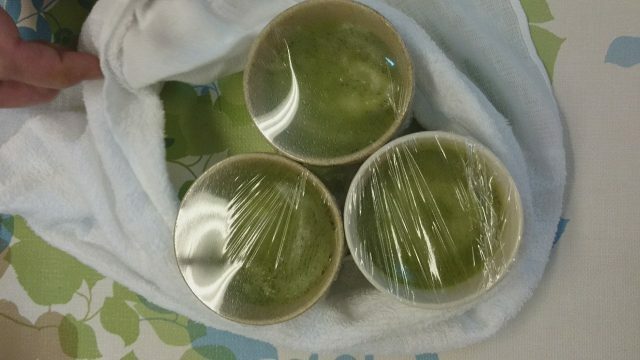 ⑥Use plastic wrap and towel to keep warm and wait until cool down. If you have matcha confectionery that want to try, please leave us a comment~!